Beautiful contemporary design, a fusion of quality and grace w/Park views. 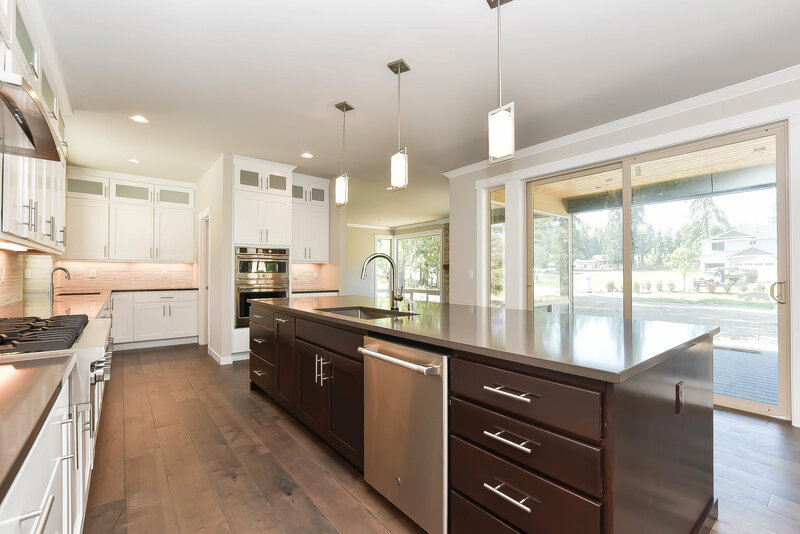 Features an 8′ quartz kitchen island which opens to 19′ great room and dinning room all in flawless hardwoods. Both rooms connect through 2 8′ sliders to a 204′ covered outdoor rm w/frpl. for year round enjoyment. Plan incl 4 bdrms, 2 3/4 baths, bonus rm & main level den or 5th bdrm w/ bath. Close-in location for easy commute, just steps to Lynnwood Park, Recreation Center & Library. Completion late Aug or Sept 2016.